SPHC steel is a commercial quality hot rolled steel. SPHC is a material grade and designation defined in JIS G 3131 standard. JIS G 3131 is a Japanese material standard for hot rolled steel. The commercial quality hot rolled steel is a type of steel that can be used commercially for forming purposes that can also include sharing of a metallic sheet. SM570 Steel is also hot roll steel but it is specifically used for welded structures because of high material strength. JIS G3131 is a Japanese standard for hot roll steel. This Standard specifies the technical requirements of the hot-rolled mild steel plates, sheets, and strips. Sources say SPHC steel full form is Steel Pickle Hot-rolled Coil. But it is a Japanese material and this full form is not valid since SPHC can be a plate or a strip instead of a coil. When a material grade is specified as hot rolled steel, it means it has been subjected to a manipulative process of hot rolling in which a metal bar is passed through high tension rollers above the re-crystallization temperature of the input metallic material. The roller does not only decrease the thickness of the sheets but also changes the grain structure of the steels. The applicable thickness for this SPHC material as defined in the JIS 3131 starts from 1.2 mm to 14 mm. 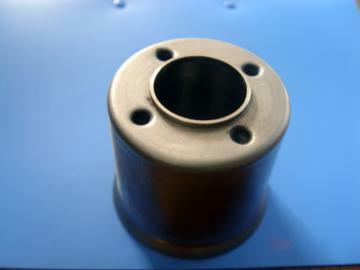 However, the width of SPHC material ranges to 2000 mm. Maximum percentage of Carbon (C) is 0.15 percent. Maximum percentage of Manganese (Mn) is 0.60 percent. Maximum percentage of Phosphorous (P) is 0.050 percent. The tensile strength of the SPHC Steels is expressed in Newton per millimeters and it must be at least 270 N/mm2 (MPa). 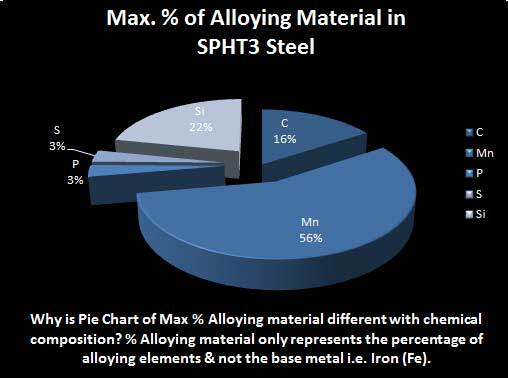 The elongation property of SPHC steel varies with the ranges of thickness. The minimum percentage ranges for elongation is from 27 to 31 percent starting from 1.2 mm to 4 mm and over. SPHC hot rolled steels coils are also consumed in many cold-rolled and galvanized product, for example, CR sheets, GI coils, and color plates etc. These are also extensively used in some of the automotive manufacturing, electric products, vehicles, aviation. Precision, meters, food cans, welding pipe making, C- channel, steel rims, storage rack, motorcycle parts, steel furniture, water heater & coolers, etc. Bending, shaping, lancing and piercing etc all are common operations that can be done on these steels. This material needs pickling before use since it discolors to brownish red and develops a thin layer o rust on it. Therefore it is recommended to perform a pickling process before consuming this type. Learn how different material grades can be prepared from SPHC steels in Process Illustration. Do you want to buy SPHC steel? 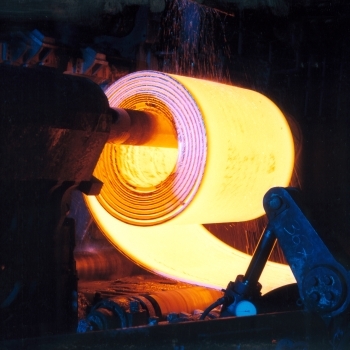 We can help you with buying hot roll steel. You can send your inquiry by using our GDPR Compliant Order Inquiry Form. Do you want to become our premium supplier of hot roll steel? We can help you find customers looking for hot roll steel, you can provide us your quotations by using our GDPR compliant Online Quotation Form. Tianjin Jianghailong Steel Co., Ltd. 0086-22-24966667 No.51, Building B, Binhai Steel Market, Dongli District, Tianjin City, China. i want to know about thickness specification of jis g 3131. It is from 1.2 mm to 14 mm. Please read article completely. Could you please tell me what is the equal ASTM Std. against JIS G 3131 ? may I ask what is the elastic modulus of SPHC jis g3131 ???? Hi, I have been looking around for the yield strength value for SPHC steel, without any success. even in the JIS G 3131 document never state any. One stupid assumption that i’m having right now is that the yield point is ‘almost’ close to the UTS, in other word this material considered brittle which is weird nature for steel material. Care to your share your opinion? Thanks! Actually when there is elongation factor in the steel as in the case of SPHC steel, there is a difference in yield and tensile strength. Therefore we cannot say that yield and UTS are close, when steel is not absolutely brittle. So anyone got yield strength of SPHC steel? Please reply if anyone knows..
Hi there, could you advise on the silicon content percentage of 3131? Cheers! HI! I am looking for the equivalent specification of JIS G3131 SPHC versus ASTM Specification? Thanks! Hi..what is the difference between JIS G 3131 SPHC and JIS G 3132 SPHT. WHAT ABOUT YIELD POINT IN SPHC STEELS.WHY WE DON’T CONSIDER IT. What is the maximum temperature it can handle? HI DOES JIS G 3131 1996 COVER ARBON STEEL SQUARE TUBE?